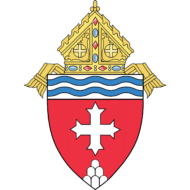 The Office of Communication supports the Bishop of Memphis as well as the diocesan ministries and administrative departments in their efforts to share the Good News. Materials issued by diocesan communications is prepared specifically for the people within the third western portion of the state of Tennessee, but is available to the world at large via electronic and print media. To reach people where they are, readers may sign up for weekly emails which aggregate news from the diocese and beyond. In addition, the diocese prints a monthly magazine called “Faith West Tennessee” which is designed to inspire and instruct. Subscriptions are $18 per year and make an excellent and easy to purchase gift. Advertising is available to organizations and for events that are of interest to our readers. Advertising prices and specifications are available online. All advertising must be received by stated deadlines. All advertising is subject to approval. 1. Assistance with crisis communications. Call our office right away: 901-373-1252. 2. Building digital presence. Consult with Amy Hall to help your parish or school with social media, websites, videos, or any other digital content. 3. Promote events. Send your information to the communication office: For additions to the website, email Amy Hall. For social media promotion, email Lorena Monge. For West Tennessee Catholic story coverage, email wtc@cc.cdom.org. Submit all bulletin announcments to wtc@cc.cdom.org. 4. Job postings. Email Lynn Oleson your parish, school, or other Catholic-affiliated job posting and she will forward to Amy Hall for our website. 5. Diocesan website changes. Email Amy Hall for all changes, including Mass and confession times. 1. Audio/Video production. Reach out to Amy Hall and Lorena Monge for all of your diocesan audio and video needs. 2. Diocesan branding. Need help branding your diocesan event with the proper letterhead, logo, fonts and more? Contact Amy Hall. The “WTC” was converted to an online news format in September 2013. Placing the news online makes the news fresher and easier to share than in print. It also allows us to move toward a greener distribution of news. As per Pope Francis, we are called on to care for the planet God has given us as a home. Using less paper and fuel for delivery of newspapers is one way we’re trying to make the world a better place. Since February of 2019 the ‘WTC” has been in a state of re-evaluation and re-structuring as we strive to meet the needs of the parishioners of the Diocese of Memphis in Tennessee.